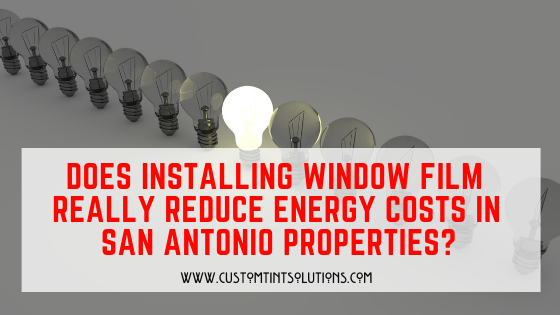 Does Installing WIndow FIlm Really Reduce Energy Costs in San Antonio? Here in San Antonio, we happily have temperate weather during the months of fall and winter. But when the spring comes–this city really heats up. 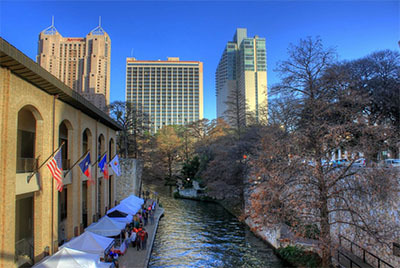 With potentially two seasons of sweltering 90 degree days on the way, home and commercial buildings owners in San Antonio must prepare for 6+ months of triple to quadruple digit energy bills. These stem from the constant running of A/C. Also, there are likely to be some expensive repairs to HVAC systems that come along with running cooling systems so often. 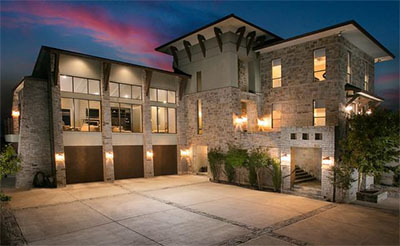 It makes sense then, that around this time each year, a lot of folks here in San Antonio start thinking about investing in window film and preparing for the impending summer scorch. In fact, the number one question we get here at Custom Tint Solutions in springtime from potential window film customers is–does window film really reduce energy costs? As always, our answer is a definite yes! Nearly any home or business here in San Antonio gains (or loses) more than 50% of the air they pay to heat or cool out their glass windows and doors. 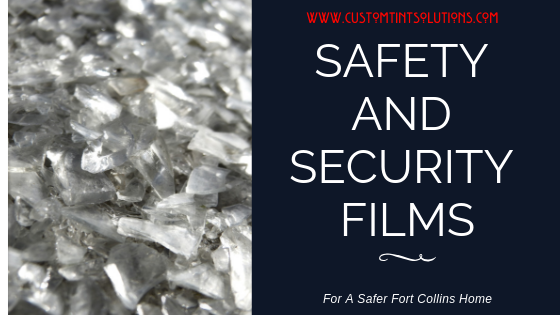 This is why window film is so very potent. A seemingly thin layer of plastic actually traps substantial quantities of heated or cooled air and save you money by doing so. In places like San Antonio, where the Texas sun is incredibly intense, window film will block as much as 66% of the sun’s heat from building up on glass. This means there is barely any heat to transfer inside too–ridding homes of hot and cold spots and the need for expensive A/C cooling. This, in turn, lowers overall utility costs by up to 40%. In fact, the savings are so great, most of our customers see an ROI in 3 years! When the A/C in your San Antonio property isn’t turning on and off all the time, running constantly, the less need there is for expensive repairs or even worse–replacement So, not only do you save on utilities costs with window film but on HVAC repairs and/or replacements as well. Window film is shown to extend the lives of these types of systems greatly–and, well that just makes your life better too! 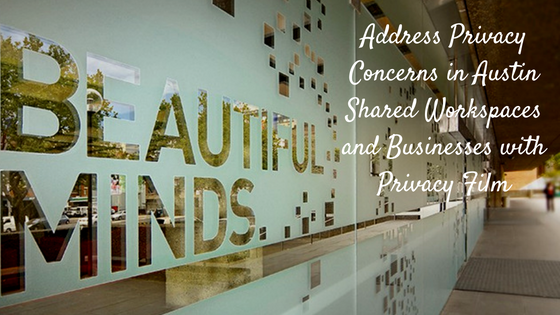 Above all else, don’t forget–window film gives you more than just more money and a fast ROI. 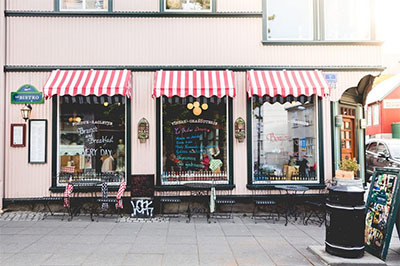 As it were, cost-effectiveness and comfort go hand in hand–so while you are saving money with window film, you are also enjoying a more comfortable, glare-free environment with incredibly even temperatures too. This makes window film a fantastic choice for those who want better indoor San Antonio living and working spaces in addition to more money in their pockets. 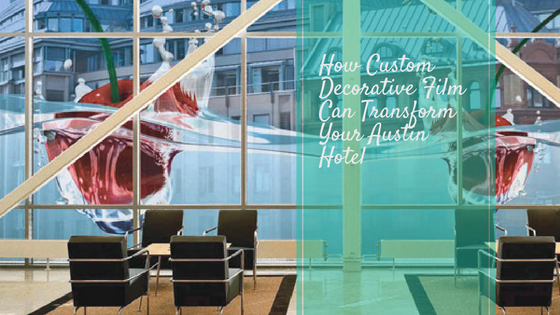 For more information on window film for your San Antonio home or commercial space, contact us at Custom Tint Solutions in San Antonio today. Custom Tint Solutions provides high quality residential and commercial window tint to Austin, San Antonio, and the surrounding area.